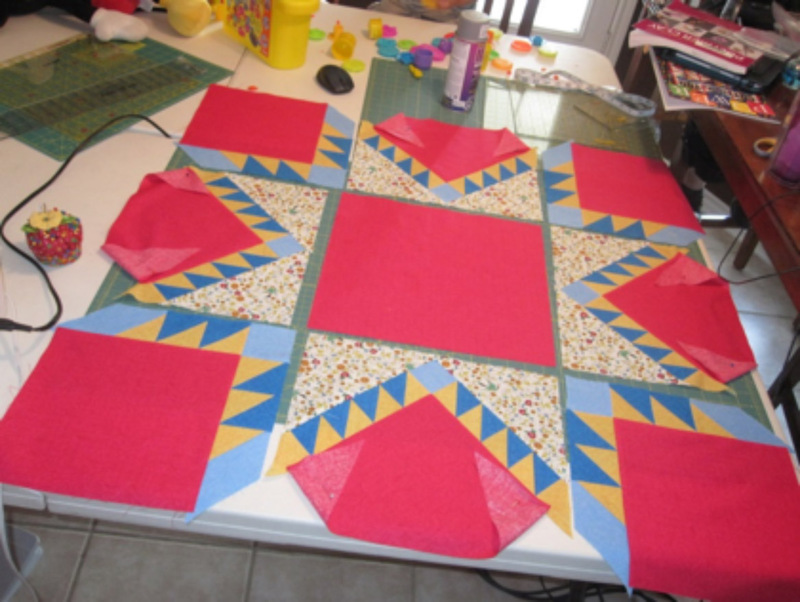 Quilting Fears – Do you defeat them or do they defeat you? Today’s guest post is from Jessica J.E. Smith of The Quilt and Needle. A talented designer with a love of mystery quilts, Jessica hosts Mystery Weekends online and Mystery Retreats onsite, teaching at Lonestar Quiltworks in College Station. Her patterns are distributed by QuiltWoman.com. She’s here talking about overcoming quilting fears and how she helps her students do so. We all have one… that quilting technique or pattern that causes us to come up with any number of excuses to NOT try it because we are certain it will defeat us. 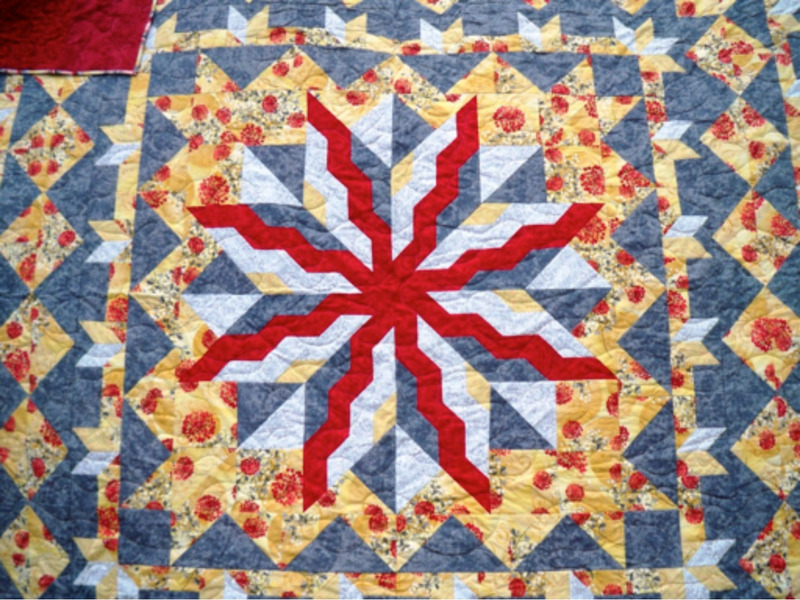 Many quilters fail at a pattern or technique because they never give themselves a chance to try it. For me, once upon a time, that unclimbable mountain of a pattern was a Feathered Star. 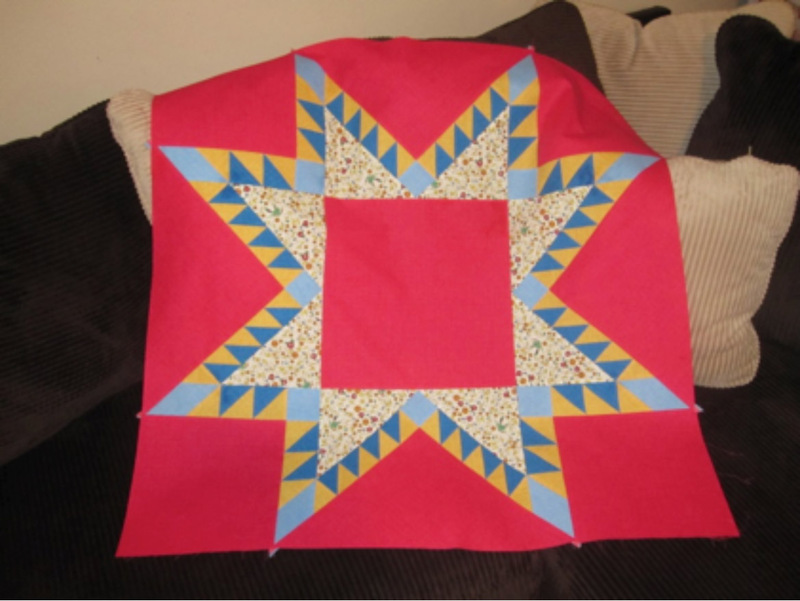 Determined to defeat my own self-imposed quilting obstacle, I set out to create a pattern that would help myself and others afflicted with the irrational Feathered-Star-a-phobia. 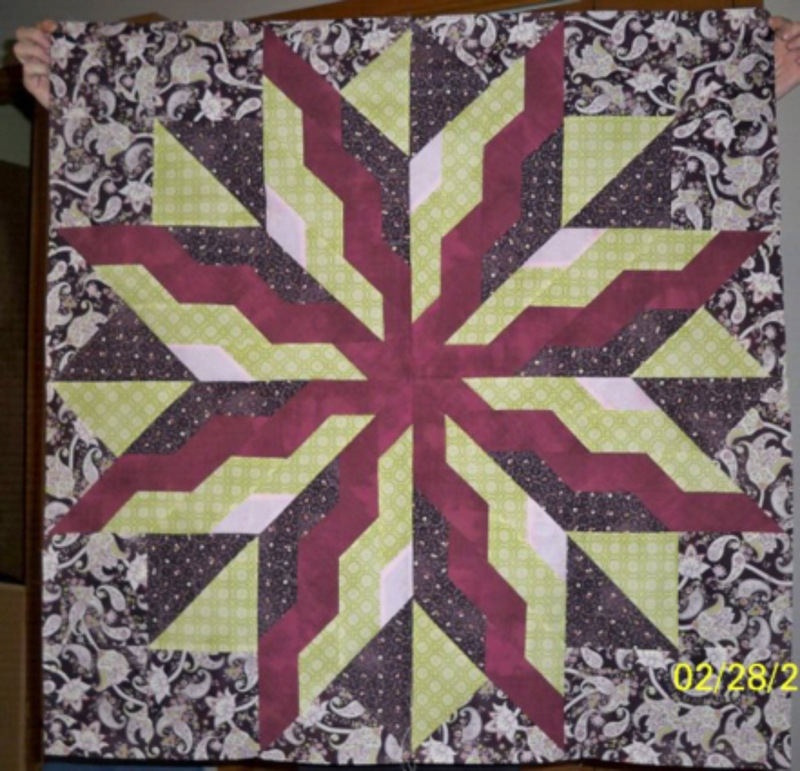 Because I had postponed trying to make a Feathered Star for many years, I looked for a way to get other hesitant quilters to try my pattern. It finally came to me: create a mystery pattern! 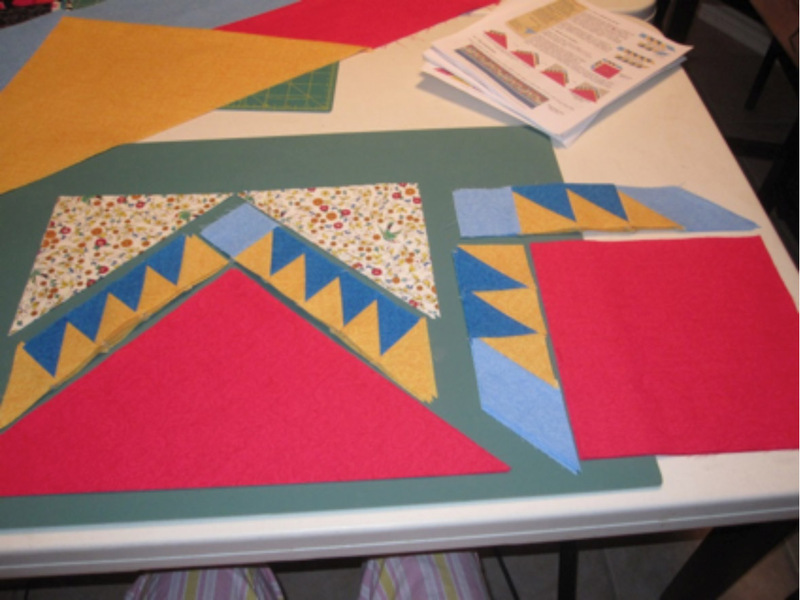 A well written mystery pattern is a great way to help quilters overcome their fears. Led through the process one simple step at a time, quilters don’t have a chance to feel overwhelmed or question their ability to complete the quilt. 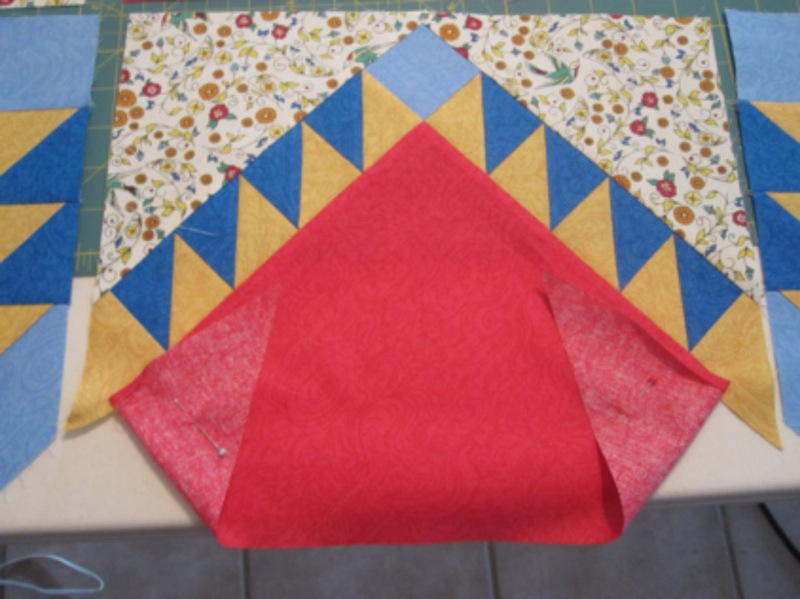 For instance, it’s easy to make a few Half Square Triangles (HSTs). Scared yet? Nah! 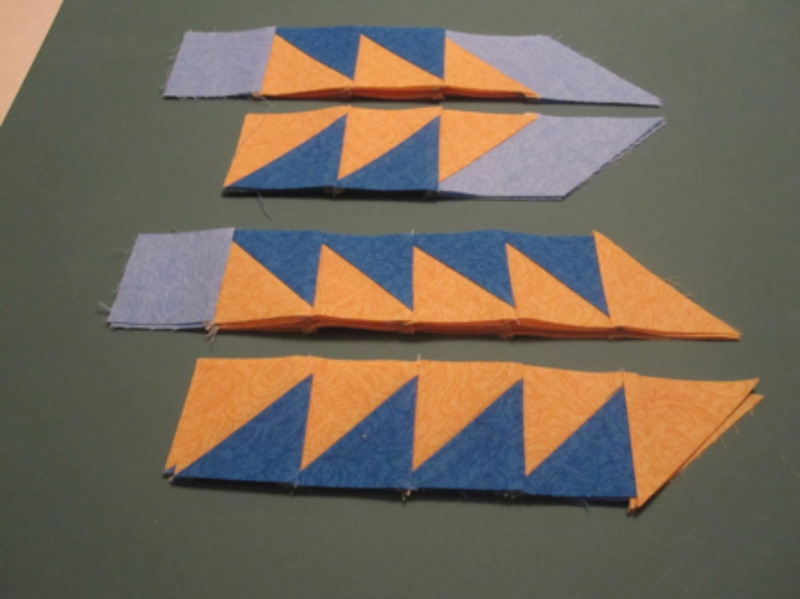 The next step is to to sew groups of HSTs together with simple shapes. And BOOM! A Feathered Star is born. Obviously this is a simplification. A ton of color graphics and simple instructions demonstrate this technique for quilters who might need the extra information to stay in their comfort zone. The point is, if you don’t know the end product, you aren’t able to keep yourself from trying a fabulous design because of self-doubt. The above pattern is Bella Cosa. There are no ‘y’ seams or similarly intermediate level piecing involved, which is why this made a wonderful mystery pattern. Over the years I’ve often experienced the power of mystery patterns helping other quilters achieve their own “unachievable.” During one of my first gigs as a mystery quilt teacher, I met “Square Girl.” It was a six hour class. The students came in with their fabrics cut, ready to sew and complete a small top in a day. The mystery I was teaching was Phire’s Radiance, which is my take on a Lone Star. While Square Girl was sewing, I overheard her murmuring “I like squares… I like squares… I like squares…” as she pieced together this quilt full of strips, and diamonds, and triangles (maybe four squares in the entire thing!). I was still pretty new at teaching and I remember telling my husband when I got home that I blew it… I would never see this girl again! I have to give her props though; she persevered and completed her small table topper in class. This was her third quilt ever! Pretty amazing I think. Anyway, my next mystery program rolled around a few weeks later, and you wouldn’t believe who showed up to that class. Yep. Square Girl. And she was smiling. And she was motivated. 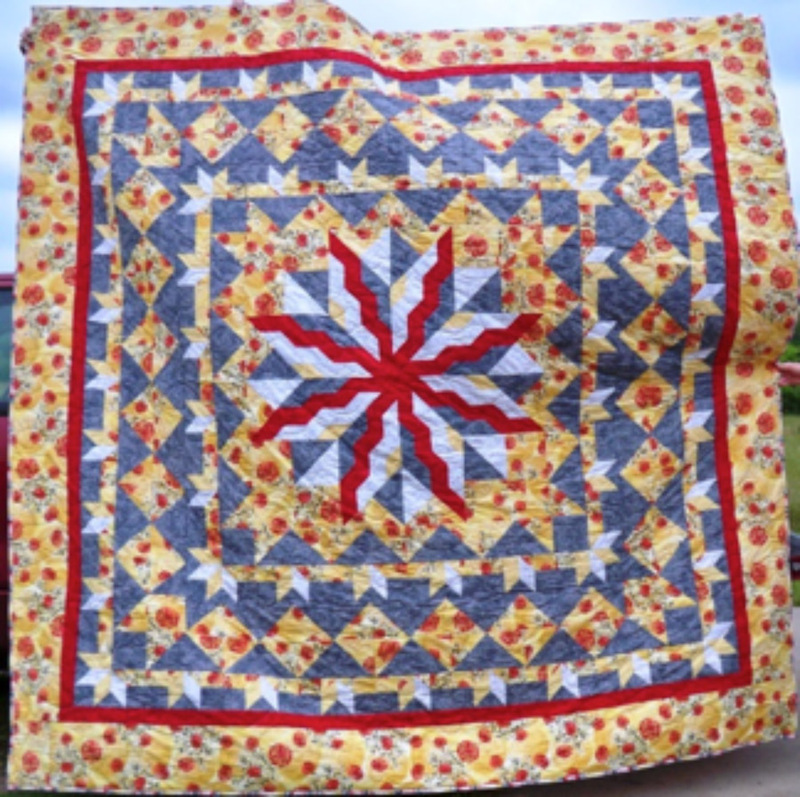 She’d made a Lone Star and now she was ready to conquer the quilting world! She has signed up for every one of my mystery programs since then. She’s hooked. She’s a fabric addict. Now Square Girl is selling commissioned quilts to support her habit. She was recently commissioned to make the King size version of Phire’s Radiance. The important takeaway is that when we come upon a quilty mountain that intimidates us, we must find a way to make that climb. With a friend, with a mystery, or with a nice glass of wine and a box of chocolates – the reward is in making the journey and never looking back. 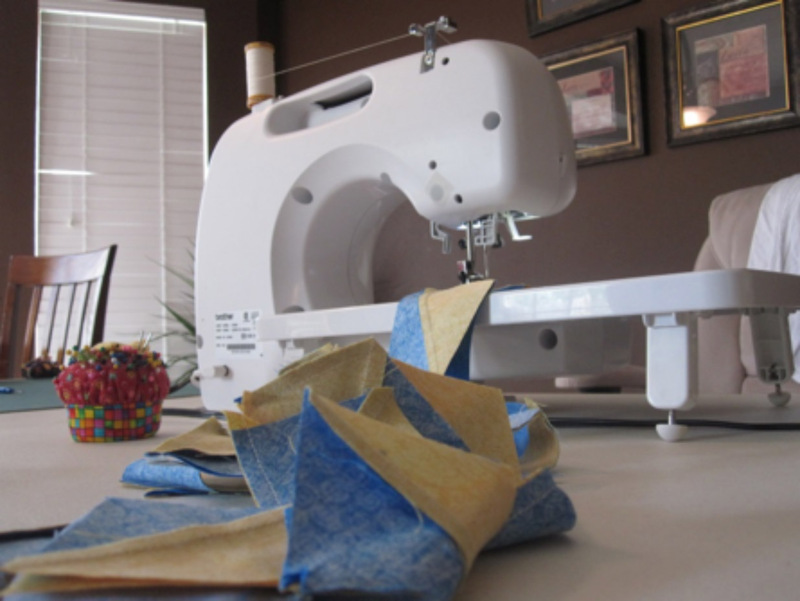 How do you overcome your own quilting fears? Is there one quilt-a-phobia that is holding you back? Today is the day; don’t wait any longer. Go climb your quilty mountain! 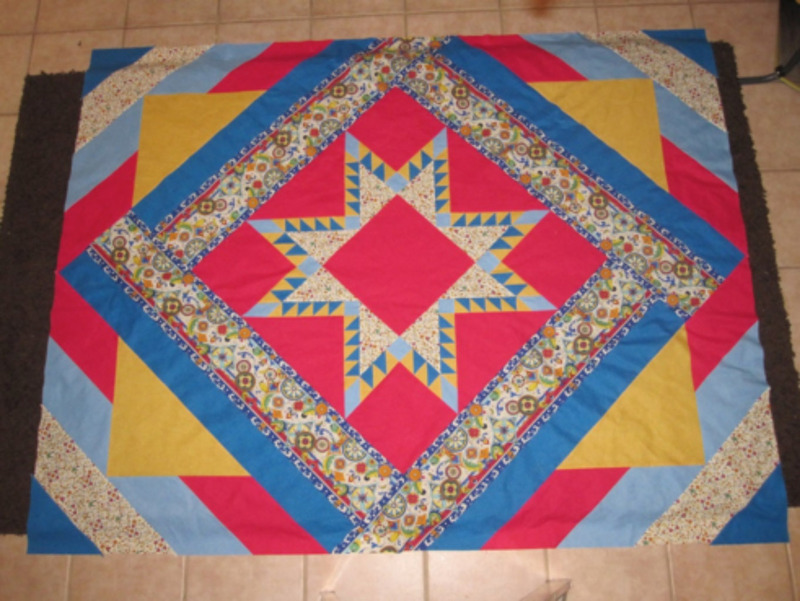 One Response to Quilting Fears – Do you defeat them or do they defeat you?